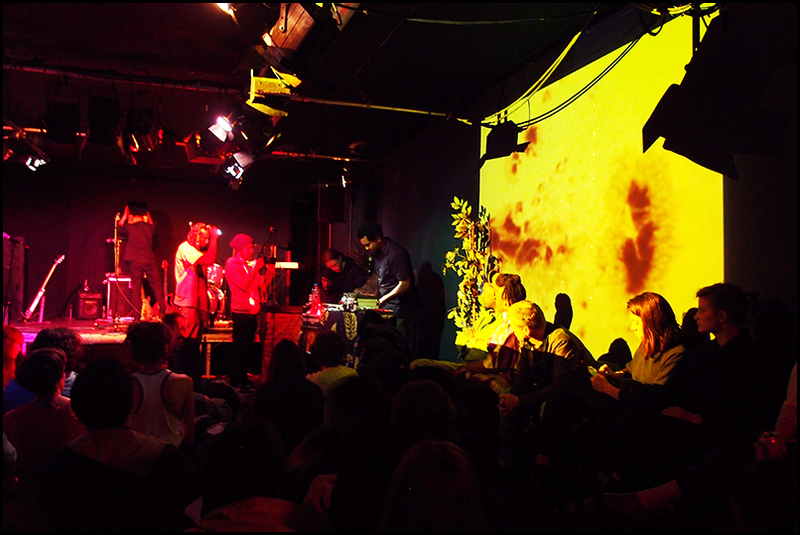 Last week I went to a How To Be a Cult Leader show. My friend Mel was doing the visuals with Space is Ace. I liked the setup and atmosphere of the show a lot. 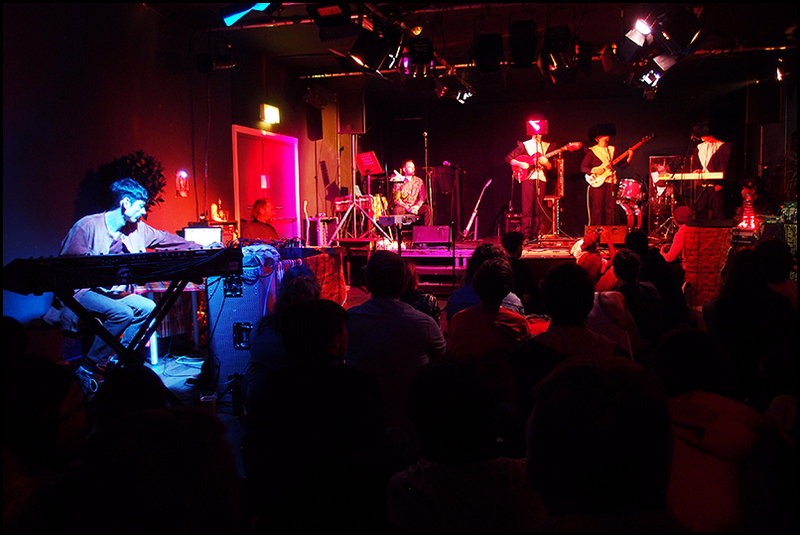 There were different musicians dotted around the room in the small theatre, and they would each play one or two songs in turn, with a 10 minute bar/toilet break every so often. There were also projections and lights directed at the two side walls. It was quite tricky to take photos, because the theatre was dark, but there were also a lot of vibrant colours I wanted to do justice to without leaving the performers blurred. Most of the acts were solo artists, like this guy, Patchfinder. 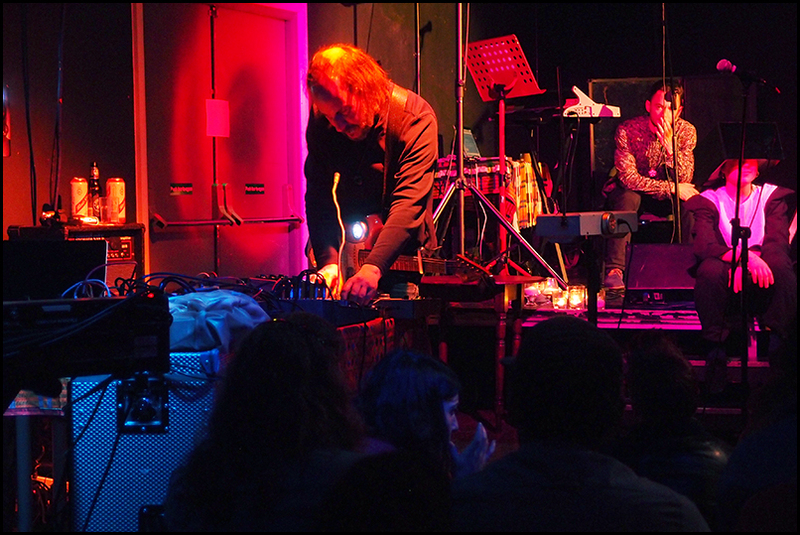 My two favourites however were Lord Tusk & the Black Sun, an electronica/jazz duo . 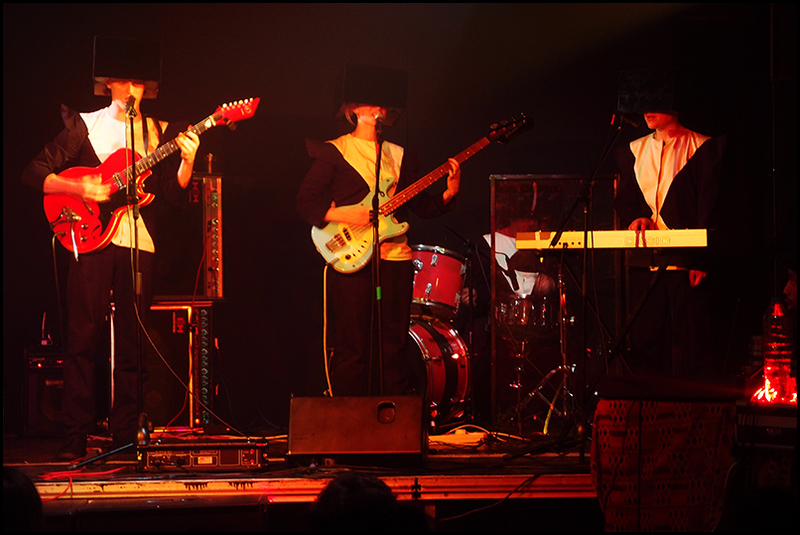 .
. . . and We, a Devo/Residents type band who wore Klaus Nomi suits and cubes on their head, and who removed the covers to the cubes in their last song to reveal a mirrored surface. 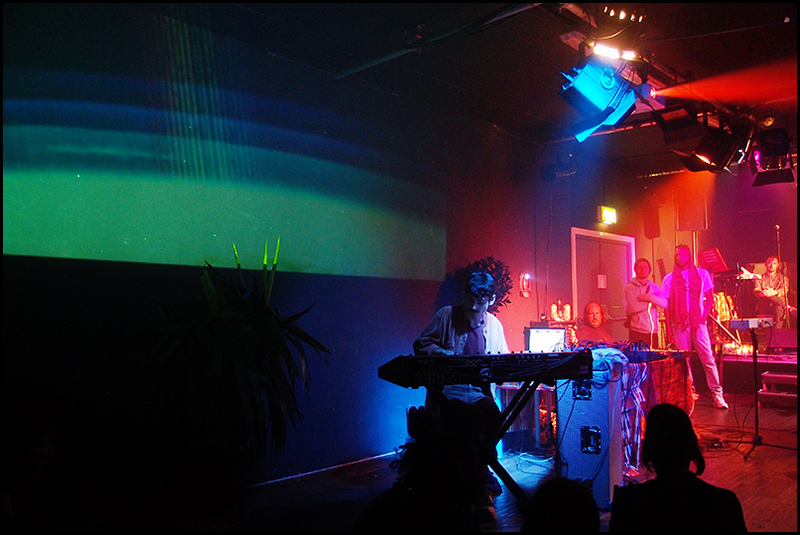 Later I asked them if they were named after the Zamyatin book, and they said they had come up with the band name We first, and then were pleasantly surprised to find out about the book and how well it fitted their stage act. 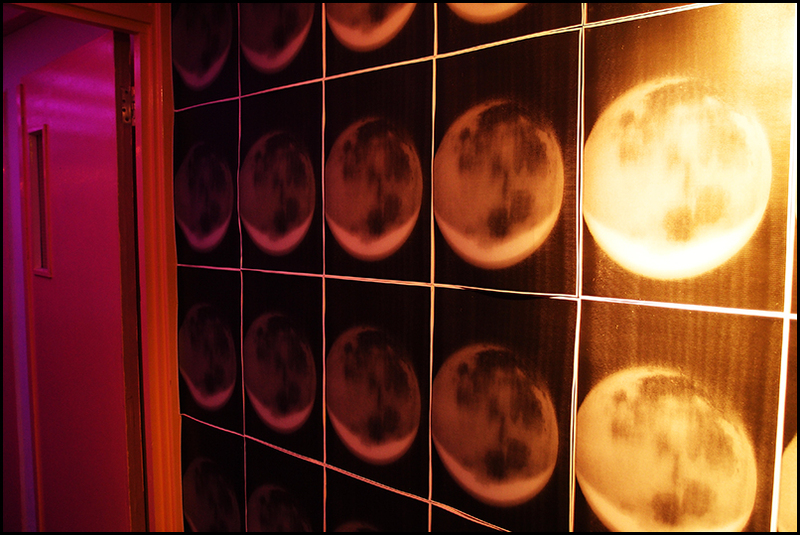 Space is Ace decorated the venue with photocopies of the moon.